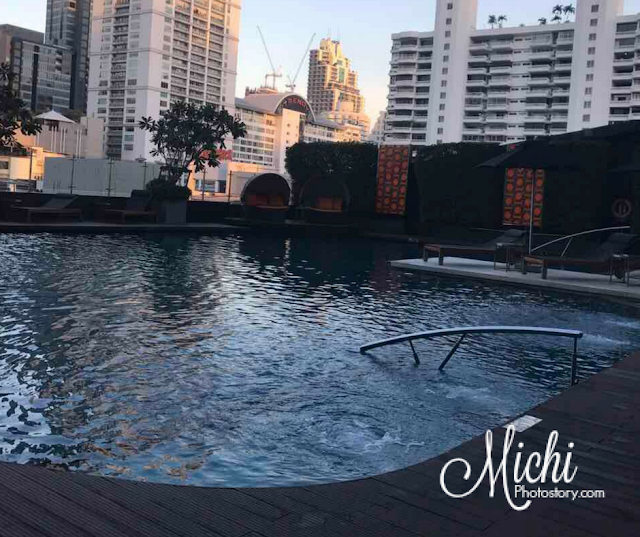 Thailand is the first country that I had a chance to visit but I have never set foot in because I have no idea about transit visa. 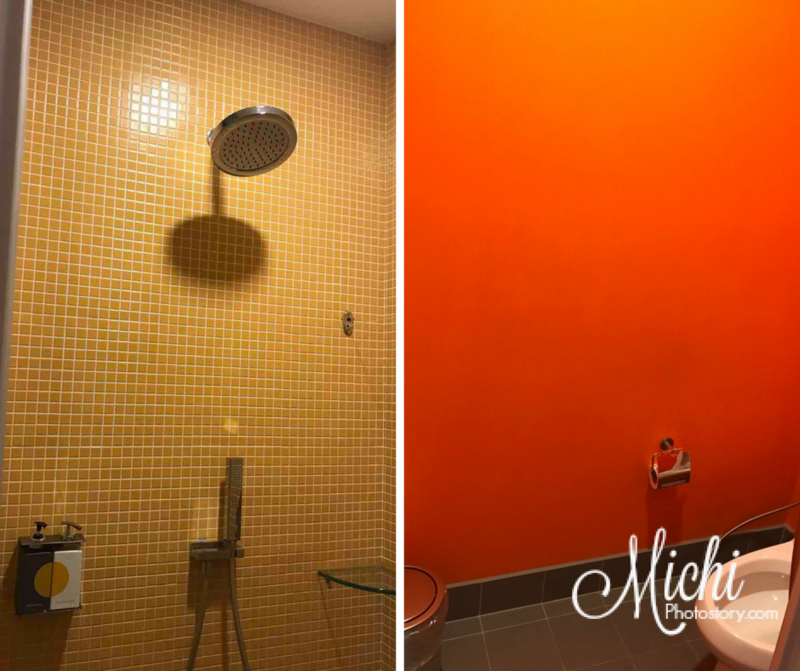 I was still in high school during my first out of the country trip so my siblings and I just stayed at Bangkok airport for 11 hours. That was long hours of waiting, imagine di pa uso wifi nun. Hehehe! Moving on, I hope I can still visit Thailand. Two weeks ago my husband went to Thailand, he usually stays at Sheraton Grande Sukhumvit but during his trip, the hotel was fully booked because of the conference. He was booked in Westin Grande Sukhumvit which is a sister company of Sheraton Grande. 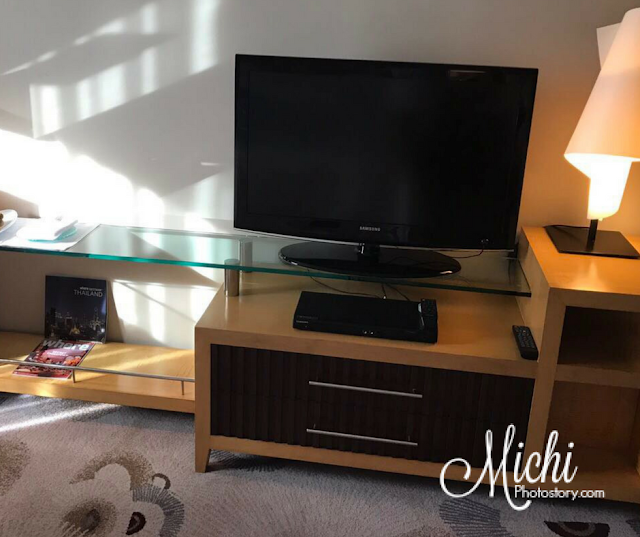 The hotel is also located on Sukhumvit road, which is a good location because it is just a few steps away from the shopping malls, BTS Skytrain and MRT Subway. 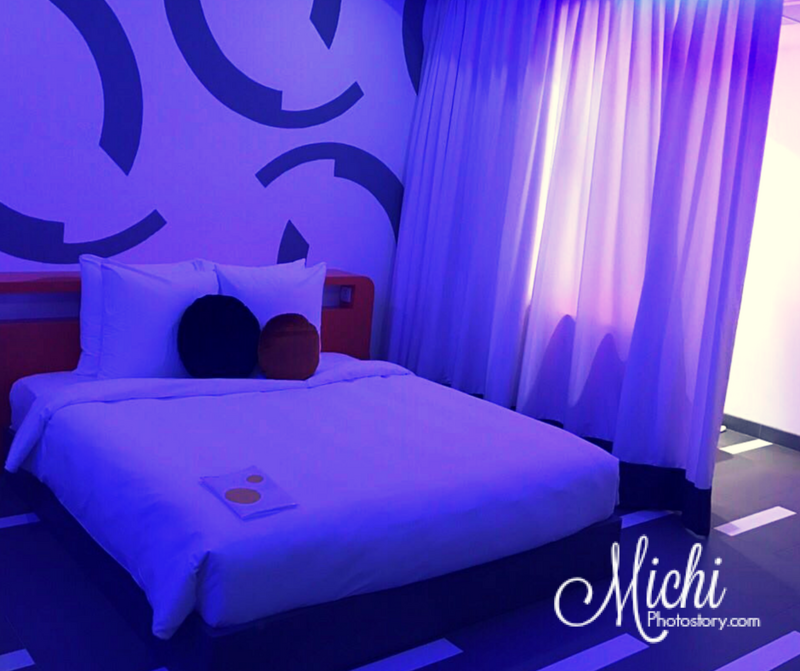 Traveling to the hotel is not a problem because there are so many options, yes, maraming pwede daanan if ever traffic. The room, facilities, and amenities are good, I think the only difference is the swimming pool. 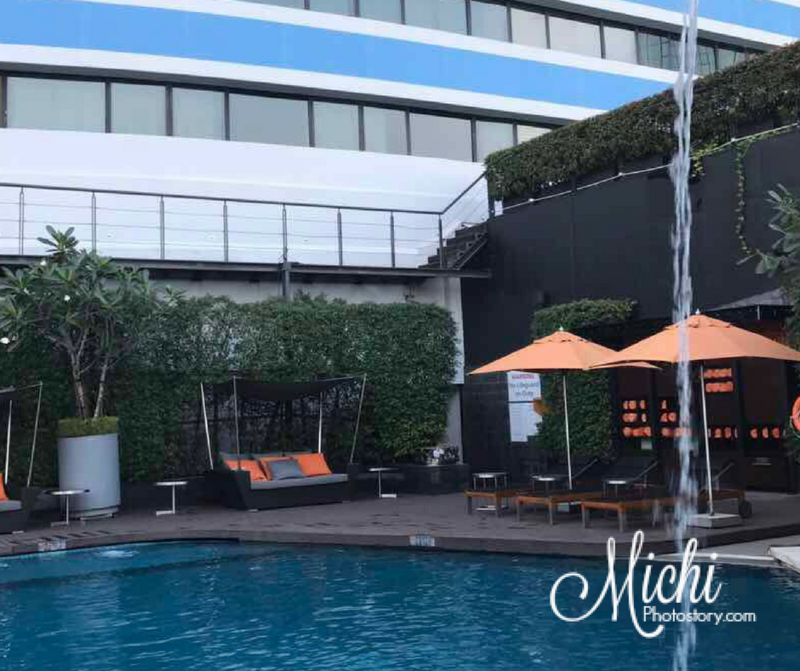 My husband prefers their swimming pool compared to Sheraton Grande Sukhumvit. 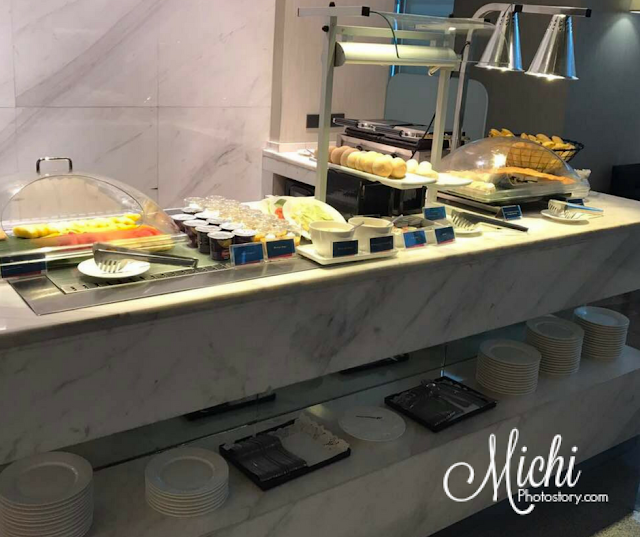 The breakfast buffet has few options if you will compare it to Sheraton. The service is also good. 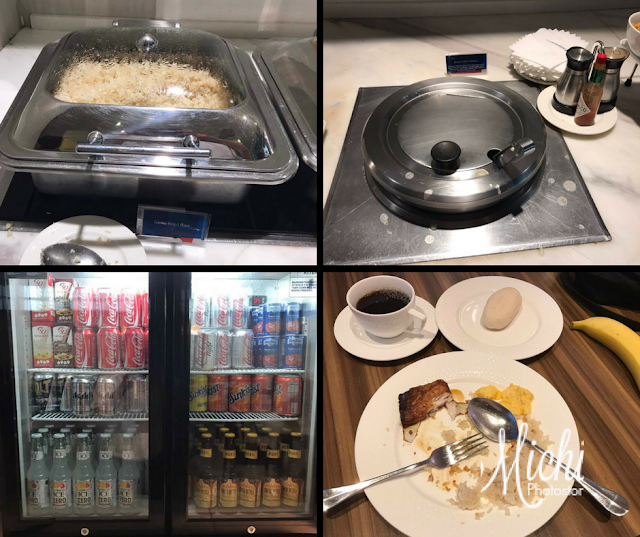 Since 12NN is the standard check-out time, my husband always check-out after his breakfast before going to work then straight to the airport. 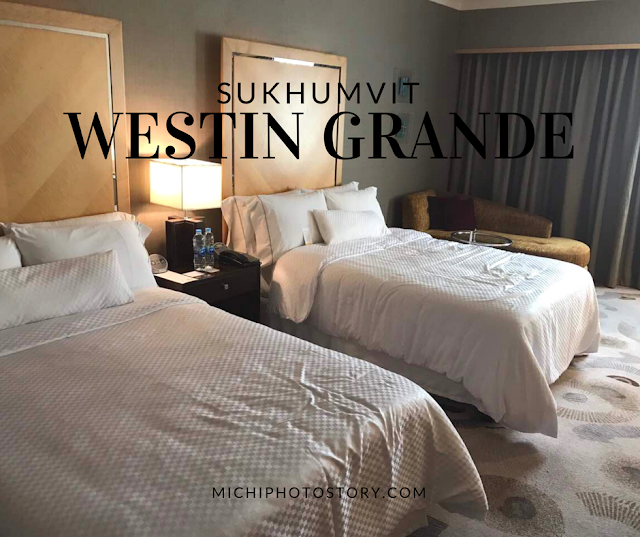 But at Westin, they advised my husband that he could check-out at 2PM for FREE. 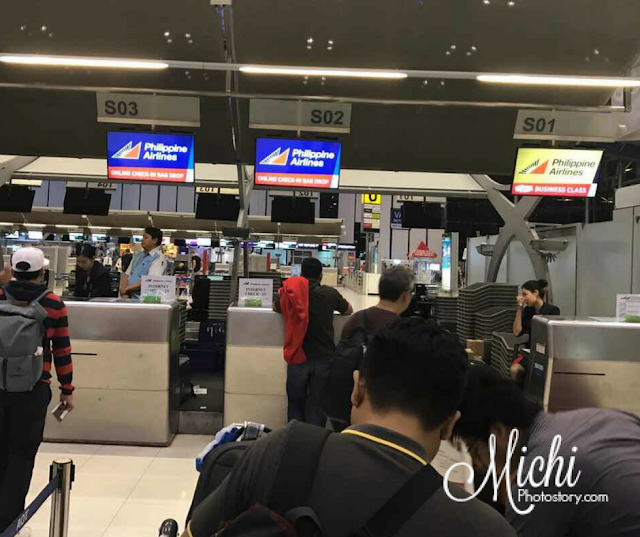 So my husband did not bring his luggage to his morning meeting anymore and he was able to rest for few hours before he went back to the Philippines. He had a problem with his baggage and the airline said that they could no longer repair it before his flight. He can’t go back to the Philippines with damaged baggage so he asked the hotel staff if they have sewing kit so he can repair his luggage which they gladly provided. 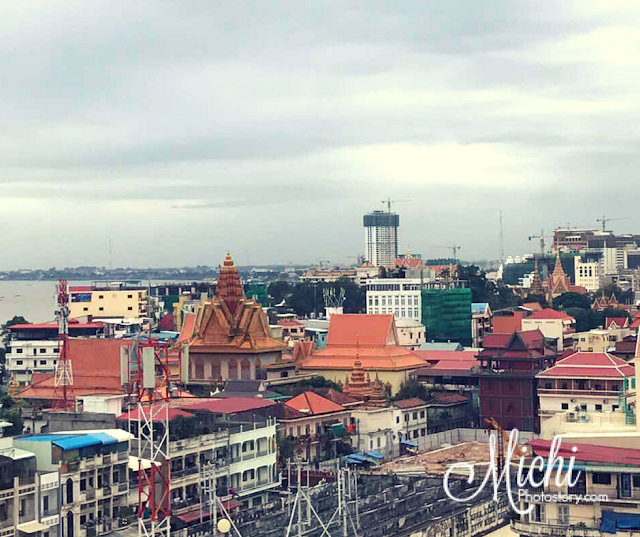 Whenever I hear Cambodia, the first thing that comes to my mind is Angkor Wat so when my husband told me that he will go to Cambodia, I initially thought that he would have a chance to visit the UNESCO World Heritage Site. But I was wrong because he went to Phnom Penh Cambodia and Angkor Wat is in Siem Reap province. 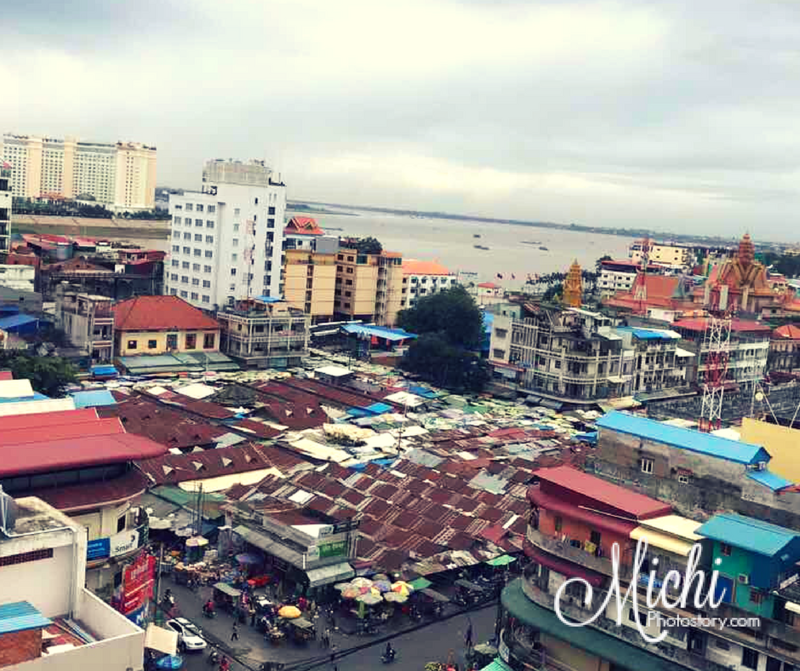 There is no direct flight to Phnom Penh Cambodia from Manila Philippines. 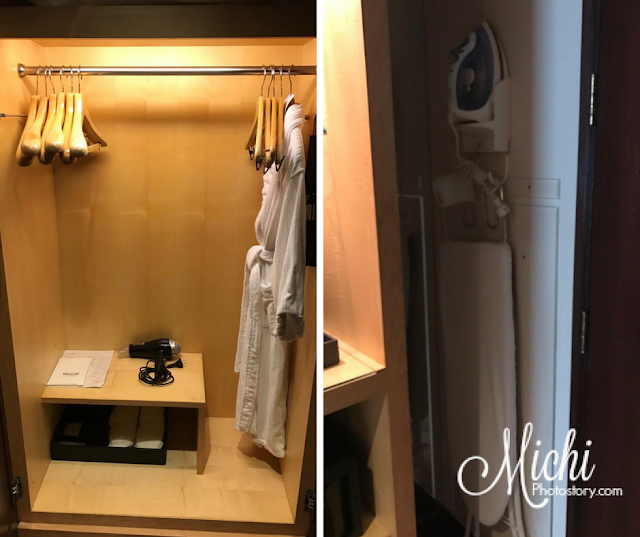 It was a long travel for my husband including the several hours of layover in Bangkok. He stayed in Sun & Moon Urban Hotel which is located in the heart of Phnom Penh. The hotel has a good location because it is near the tourist spots such as Wat Phnom, Royal Palace, National Museum and Independence Monument. You can either walk, ride tuk tuk or ride a car to reach those tourist spots that are less than 2km away. 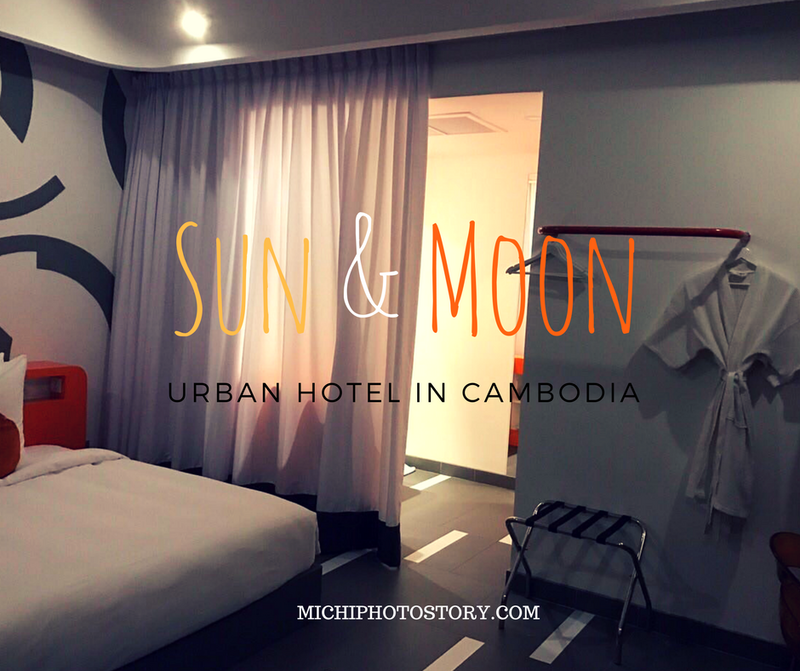 Sun and Moon Urban Hotel is a modern hotel that offers gym, spa, steam, sauna, swimming pool, Jacuzzi and roof top bar. 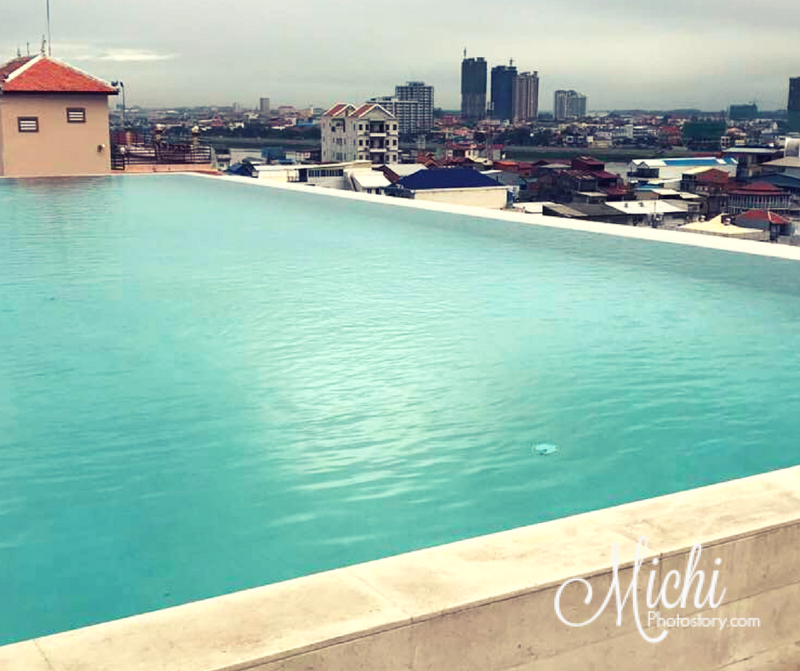 At the infinity pool, you can already see the tourist spot and river. 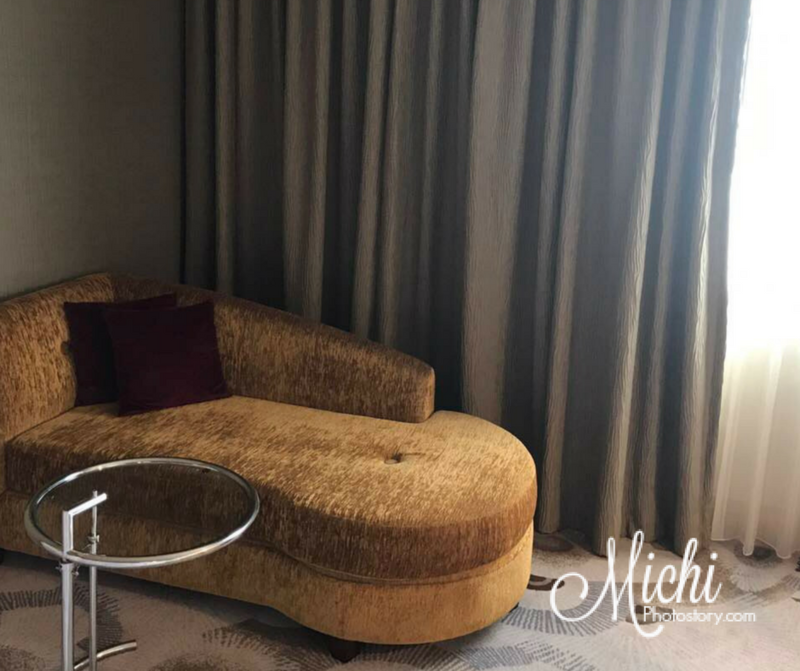 This is the room. 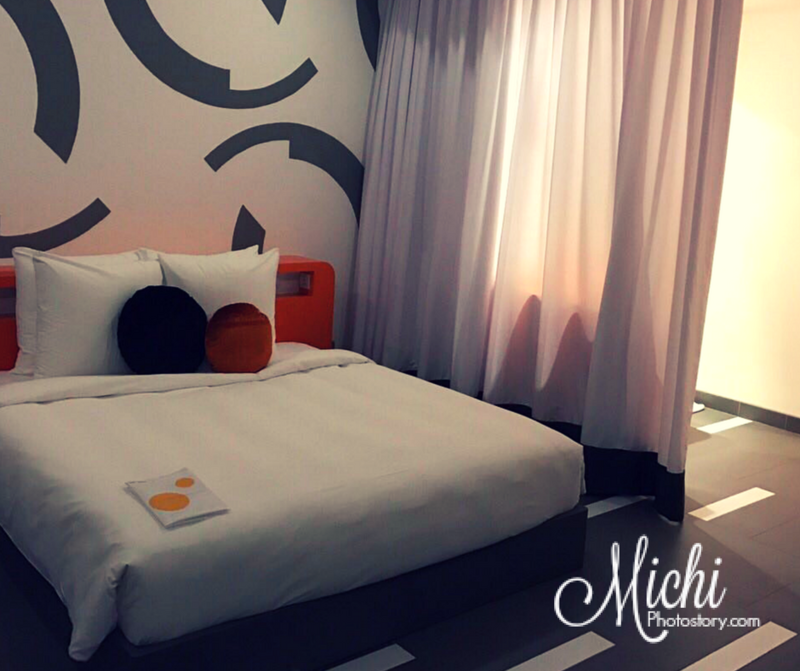 The lighting of the room is unique because you can change it, if you want bright or dim, hence the name of Sun & Moon Urban Hotel. Breakfast is at Salt n’ Pepper - Gastropub. Traveling via airplane makes us excited because it only means that we are going to a far destination, out of the country or out of town. The only thing that is not fun in flying is the waiting game. We all know that we need 3 -4 hours before the flight, especially during the holidays. 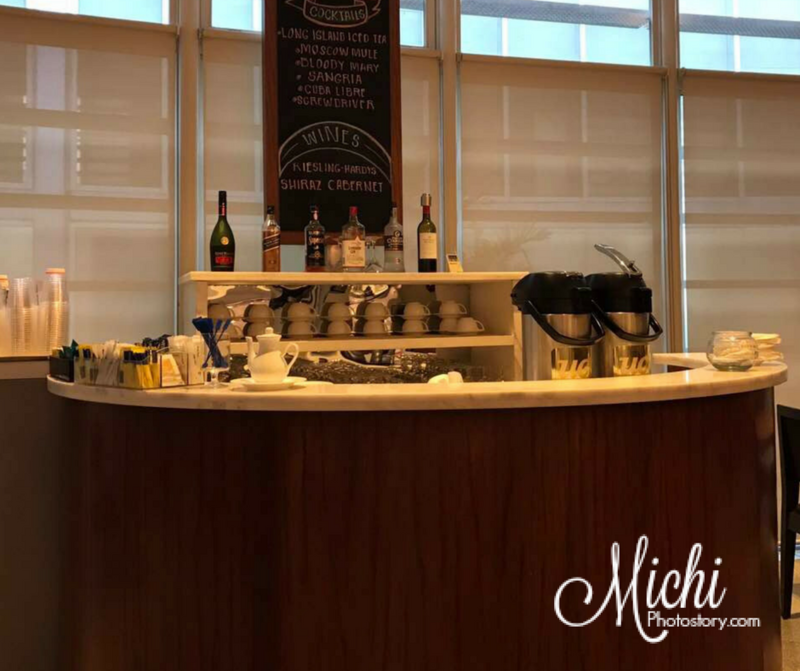 It is long hours of waiting especially if you are just sitting at the boarding gate so it is really nice if you have an access to an airport lounge. 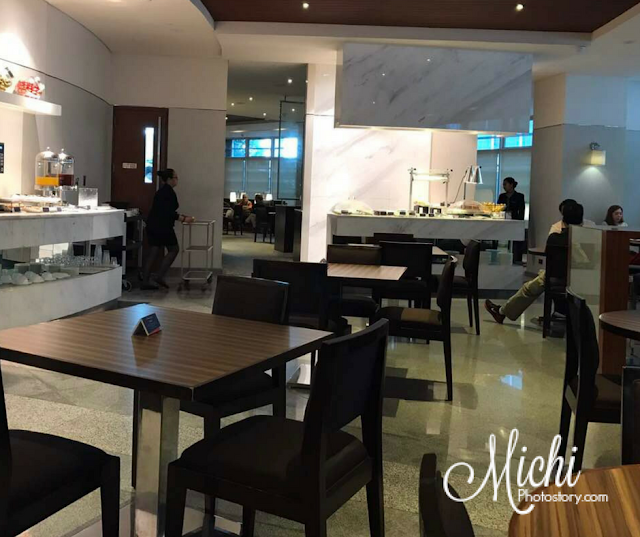 I’ve experienced Mabuhay Lounge in Cebu International Airport when my husband booked a business class ticket because an economy ticket was no longer available. 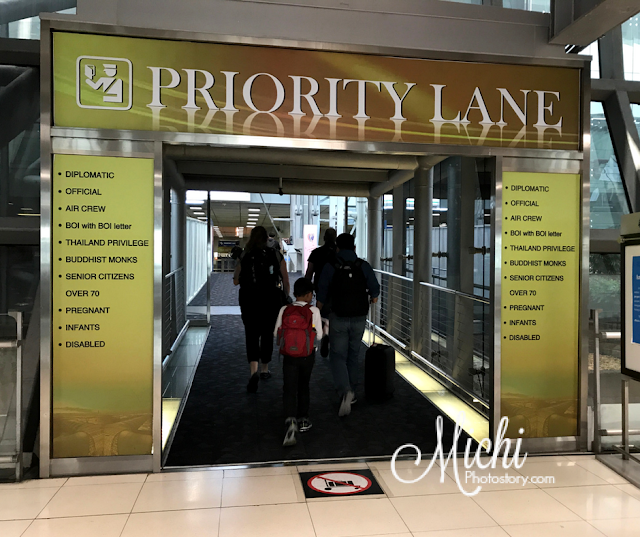 It was a nice experience and it is something that my son cannot forget so after that trip, he wants to stay in the lounge if ever we are waiting in the airport. But I always tell him, we can’t because we only have an economy ticket. 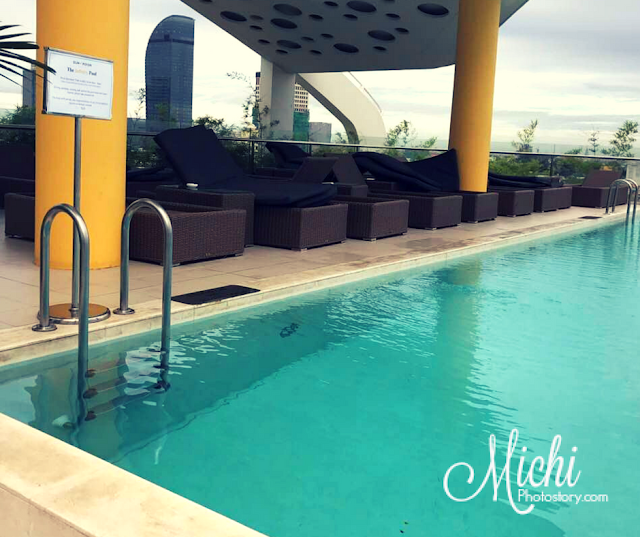 Anyway, since my husband is always out the country last year, he was able to earn miles. 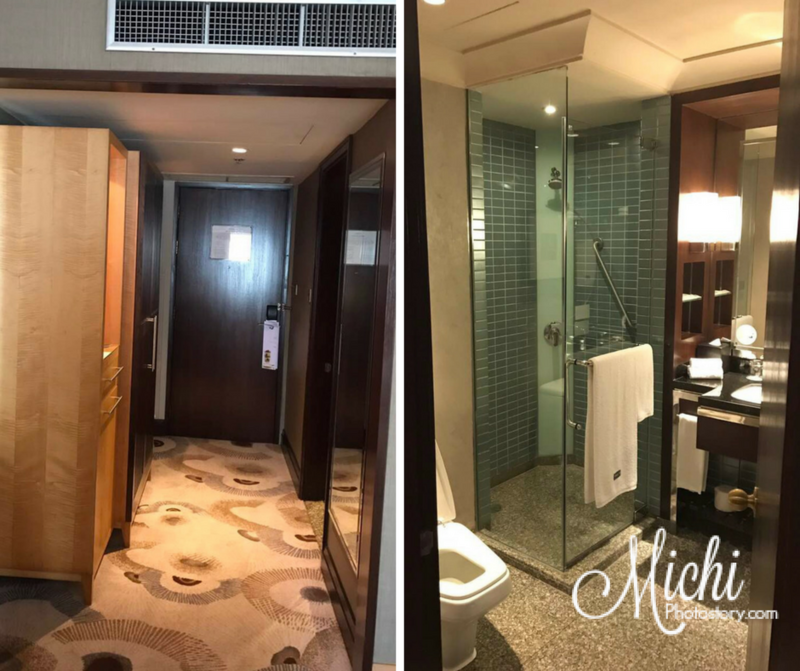 And because of these miles, he has now FREE access to Mabuhay Lounge. 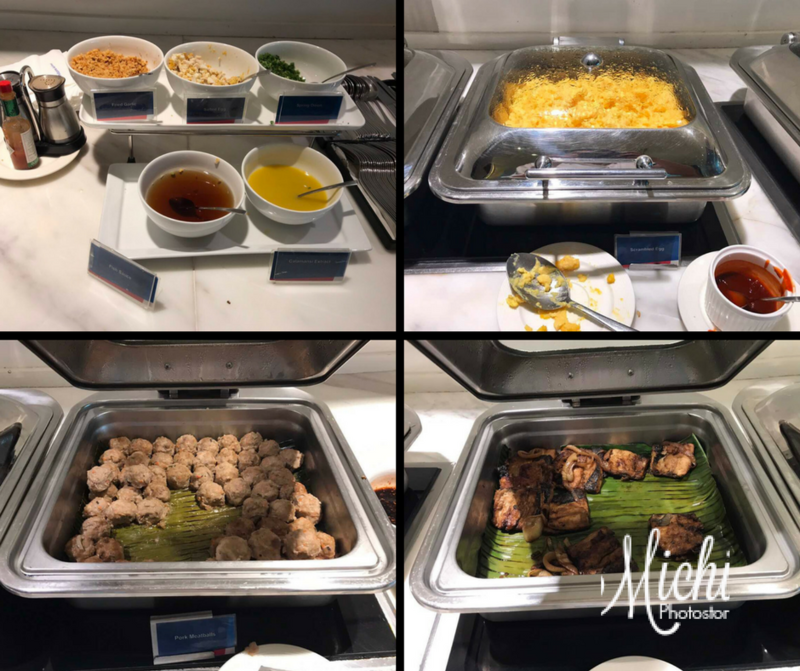 Last week, he was in Cambodia and it was his first time to experience the Mabuhay Lounge in NAIA 2. I’m happy for him because I know he doesn’t enjoy waiting at the airport. 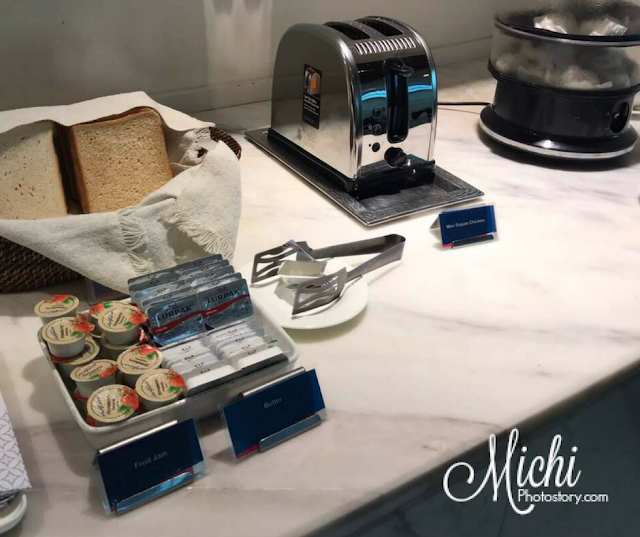 In addition, I don’t need to prepare for his snacks too because there is free food and drinks in the lounge. Yey! 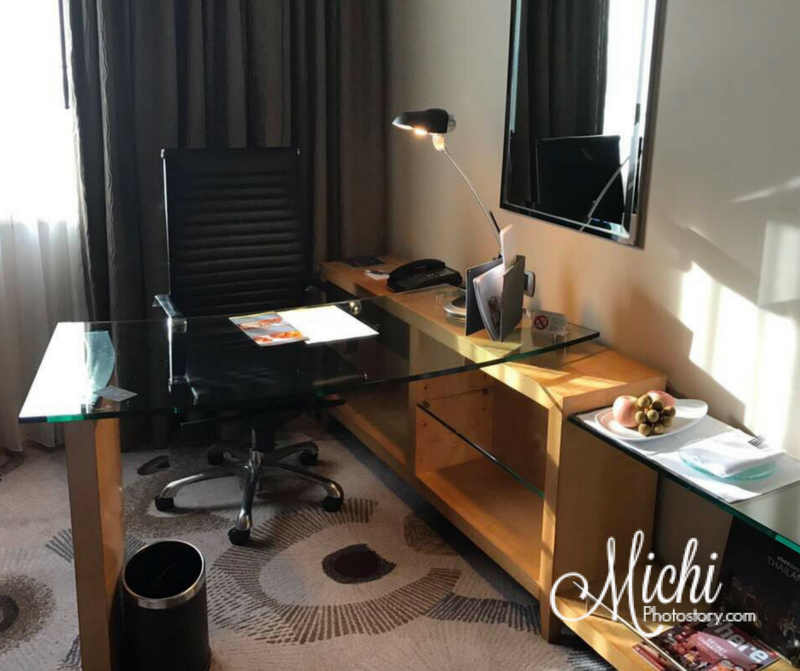 Read: Why Travel for Work is not Fun? Who has Access to Mabuhay Lounge? 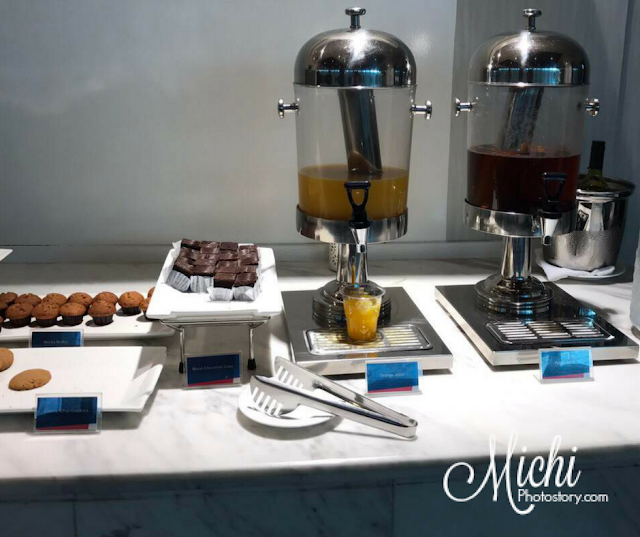 You may relax in Mabuhay Miles Lounges if you are Mabuhay Miles Elite, Premier Elite and Million Miler. 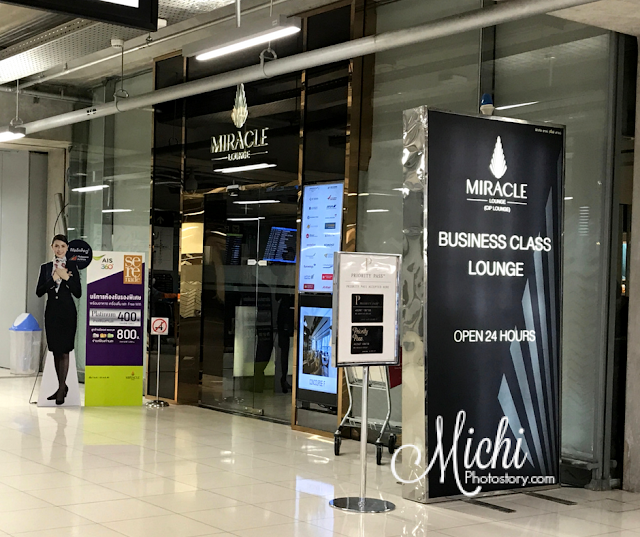 If you are not a member but you have a Business Class ticket you can access the lounge for FREE. 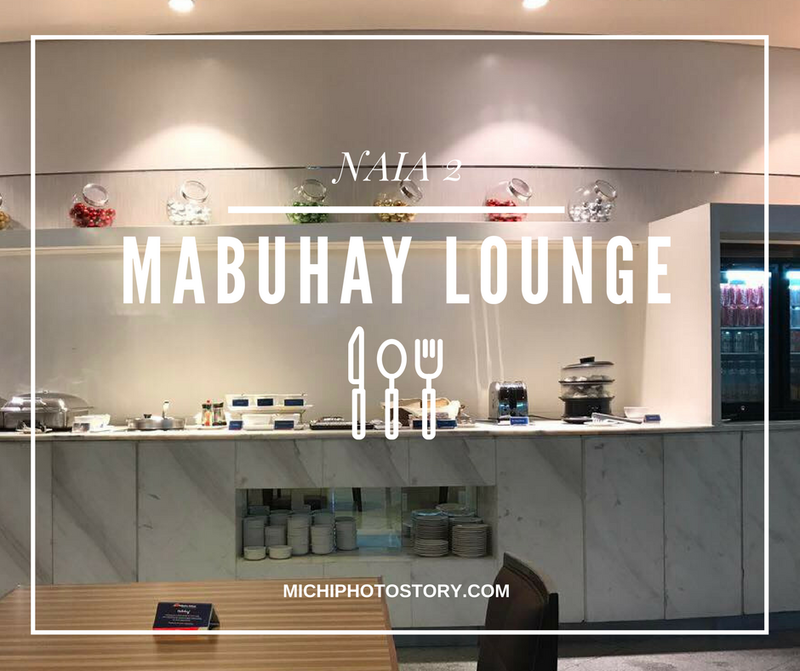 Checking all the photos, Mabuhay Lounge in NAIA 2 is much better than the Cebu station. It is bigger and more choices of food, may rice meal. Our family loves ube jam and it is one thing that we always look forward if we will go to Baguio or if someone will go to Baguio. 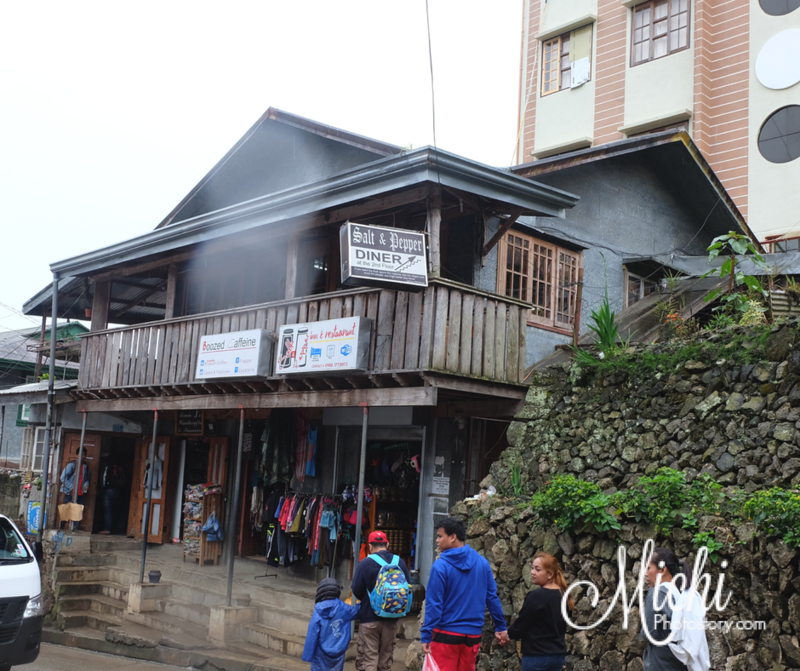 Our Baguio trip will not be complete without buying ube jam at Good Shepherd Convent. 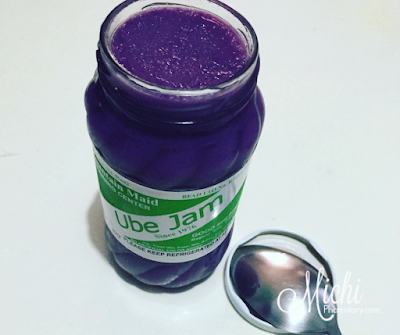 I've tried other ube jam but nothing beats the taste of Good Shepherd ube jam. 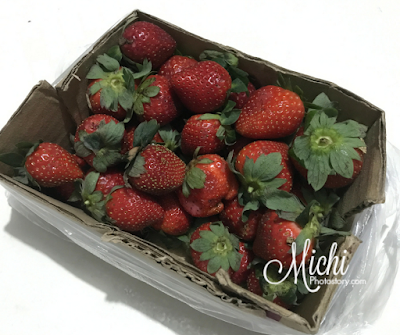 The texture is so smooth and it is not overly sweet, in short yummy! So on our way home from Sagada, we had a quick stop over at Good Shepherd. 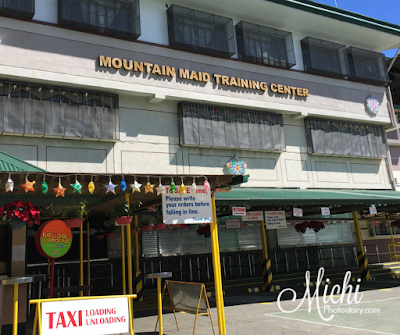 We are expecting for long lines but I was surprised that we were able to buy pasalubong in a few minutes. Taking and paying orders is now organized. First, you have to place your order then give the paper to the staff. 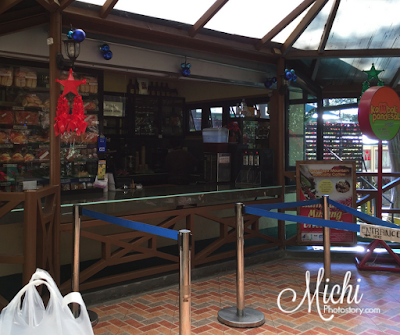 He/she will prepare everything and then pay your order at the cashier. Mas systematic, let’s admit na kaya nagtatagal sa pila kasi dun pa lang nag-iisip ng bibilhin so mas ok kung may list na. 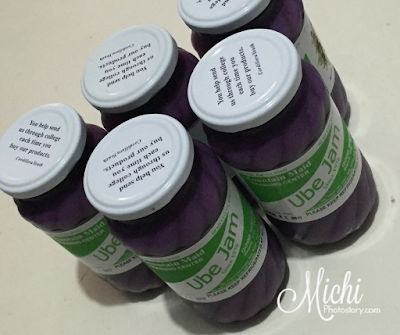 Last summer, I asked my sister-in-law to buy me ube jam because they went to Baguio. She said, wala na daw malaking jar so she bought the small jar. When we went back last month, wala na nga, akala ko naubusan lang. Huhuhu! I prefer buying the big jar kasi mas tipid. The 12oz jar is now P220, ang laki na ng inflation, parang yan na yung presyo nung malaki from the time na nag-umpisa kami bumili. Aside from the ube jam, my husband likes their juice so we bought juice P30, ube bread P120 and ensaymada P50 so we have something to eat on our way home. Naubos na yung isa before ko pa nakunan. hehehe! 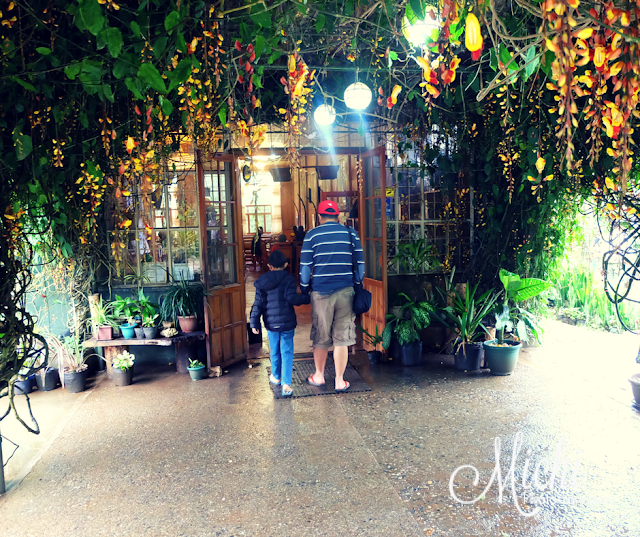 What is your favorite pasalubong in Baguio? 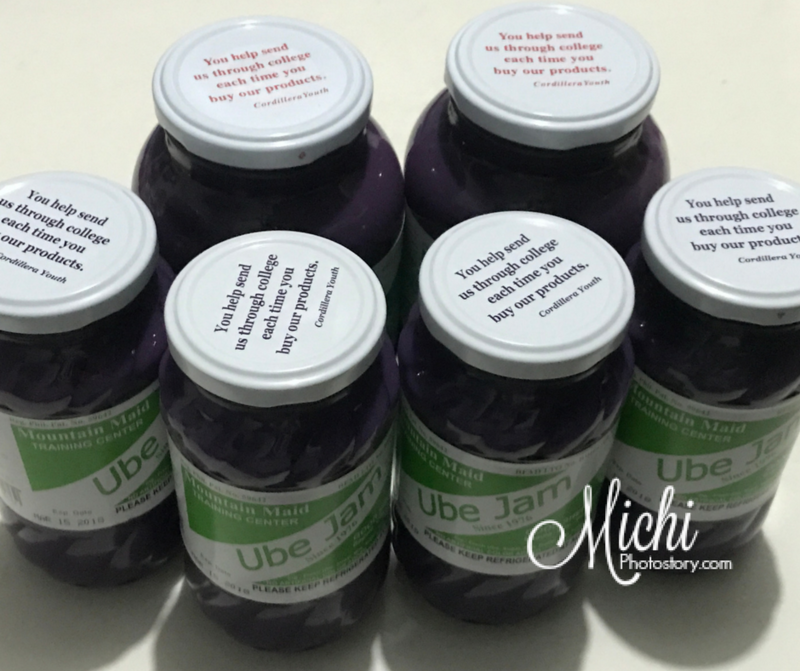 My husband went back in Baguio and of course we asked him to buy ube jam. My son wanted him to 10 pieces of ube jam but he was informed that there is 4 pieces limit per person. Good thing that his officemate will not buy ube jam so he fell in line too. 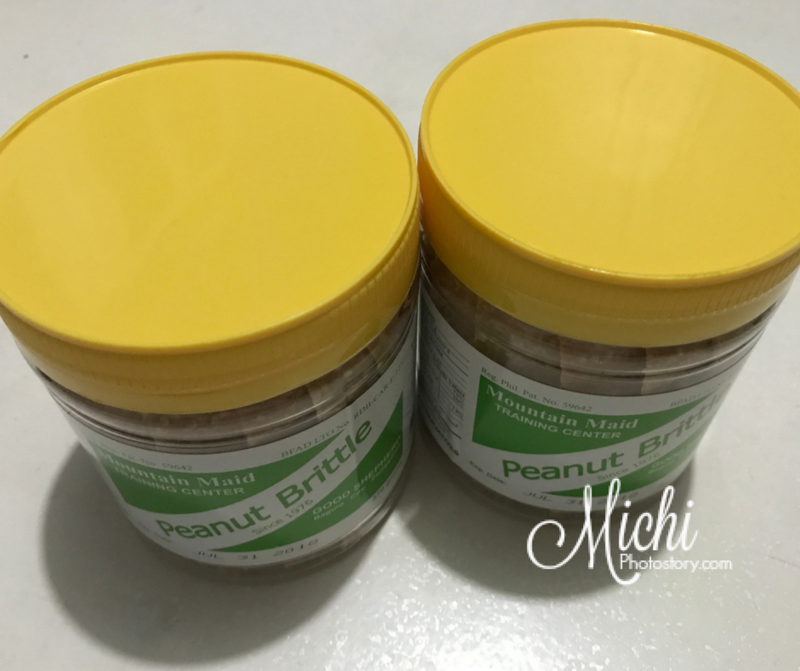 My husband was able to buy 2 big jars (P350 each) and 4 small jars of ube jam (P210 each), plus two peanut brittle (P175 each). I'm not sure if he also bought the strawberry at Good Shepherd Convent, hindi ko na natanong. Sagada is just a small town where you can explore the tourist spots even just for a few days. You will never go hungry too because there are so many restaurants in the town proper. During our first day, we asked the tourism staff what are her recommendation for restaurants and she said, “lahat po masarap”. Although there are several choices, we have our own preferences when it comes to food and one thing that concerns me is the rice. I prefer white rice and most of the restaurants served red rice. Well, the taste is not bad but I like the texture of white rice. 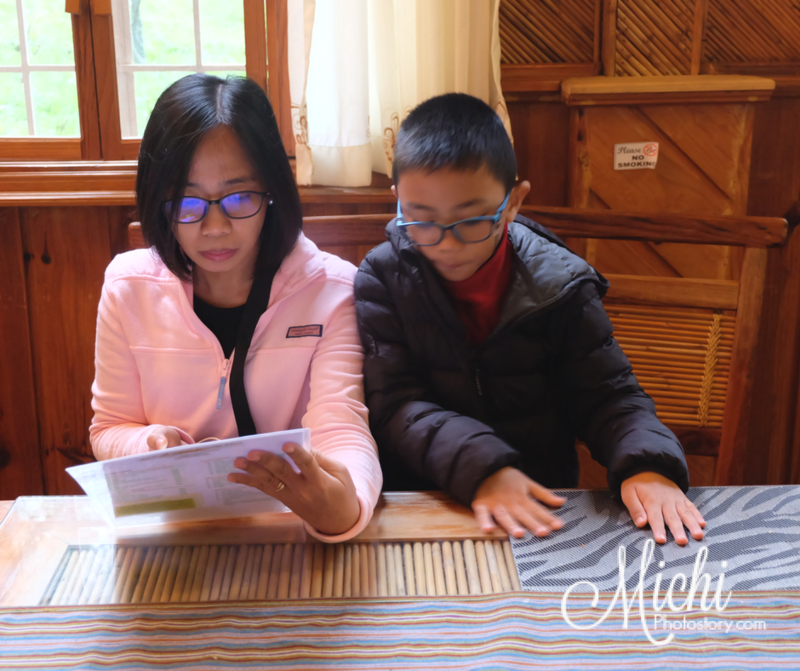 It was funny because when we ate breakfast at Cafe by the Ruins in Baguio, I was really surprised when they served red rice. Wala pa ko sa Sagada, umpisa na ng red rice. Hehehe! 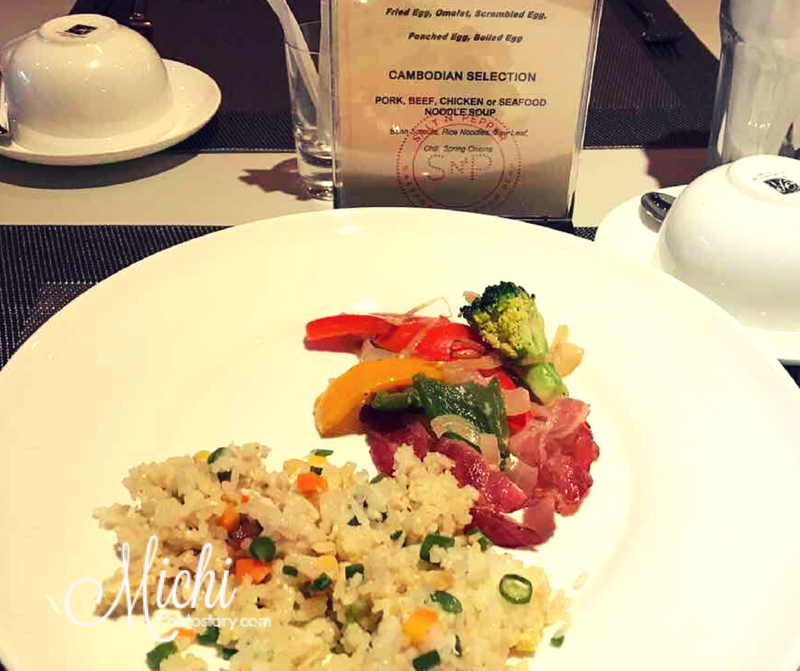 If you are not a fan of red rice, don’t worry because there are restaurants that serve white rice too. 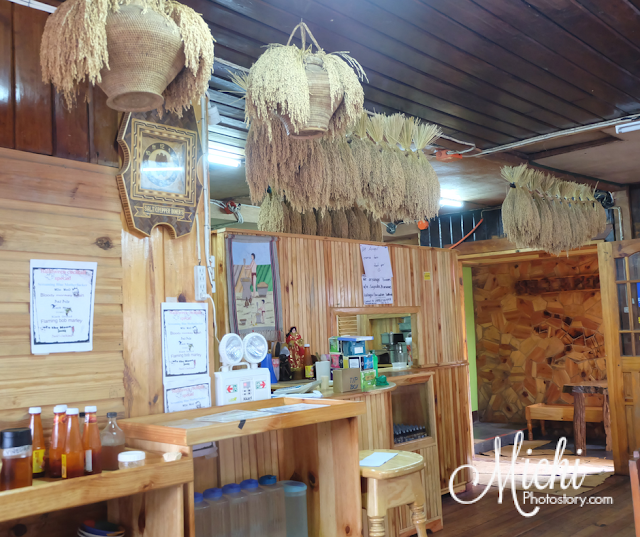 Sharing with you the restaurants that we have tried during our 4 Days Trip in Sagada. I have a list of restaurants that I wanted to try but the problem is some restaurants open so late and some are only open during dinner time. Take note that cash payment only so make sure you bring enough cash for your food trip. 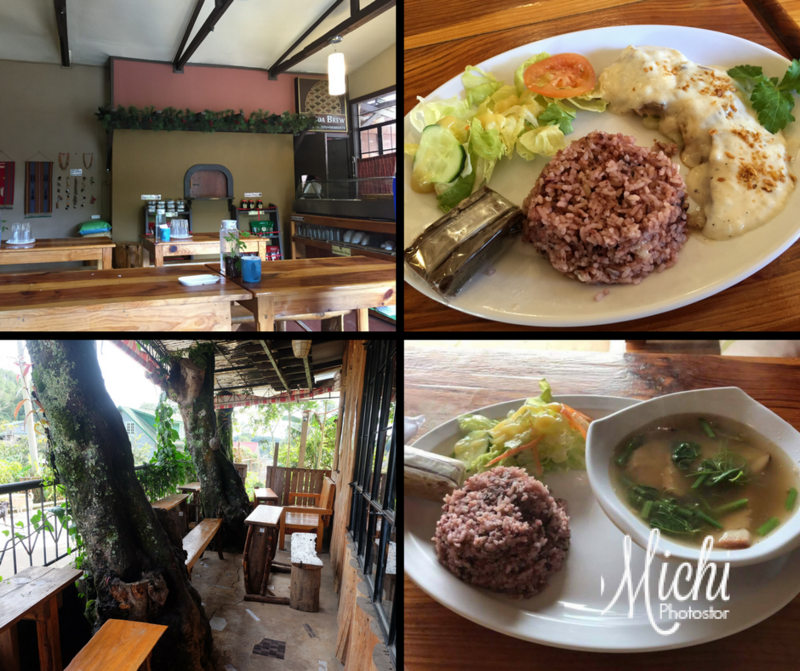 This restaurant is just a few meters away from the Tourism Office so this is the first restaurant that we have tried. It is like a fastfood where you order and pay your food first. We ordered liempo, nilagang baka, vegetable, rice and iced tea. 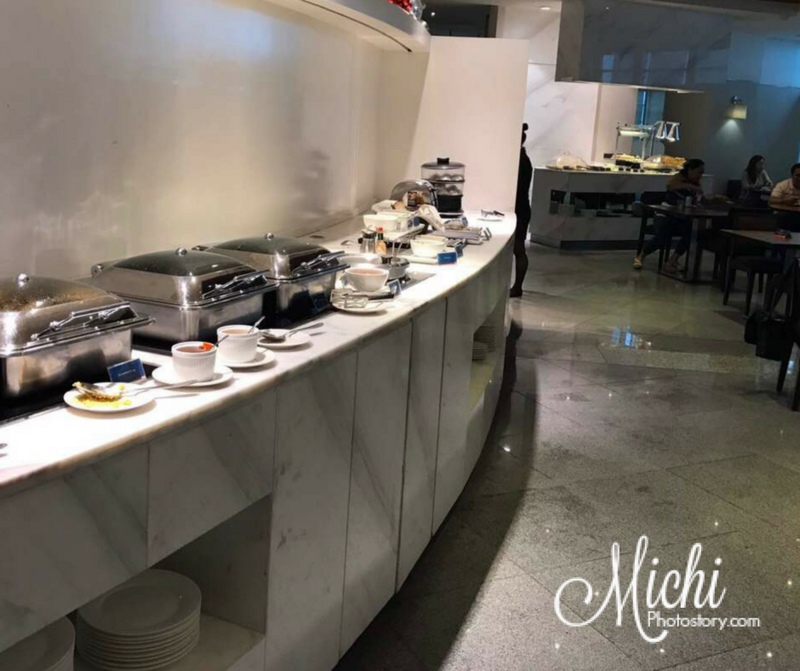 We were all satisfied with the food and I wanted to try their desserts but we’re so full already so I told myself that we will go back na lang but when we went back last December 31, closed sila for lunch. Waah! After our Echo Valley Walking Tour we ate our lunch at Salt & Pepper Diner. My son was very happy because there is pizza on the menu. 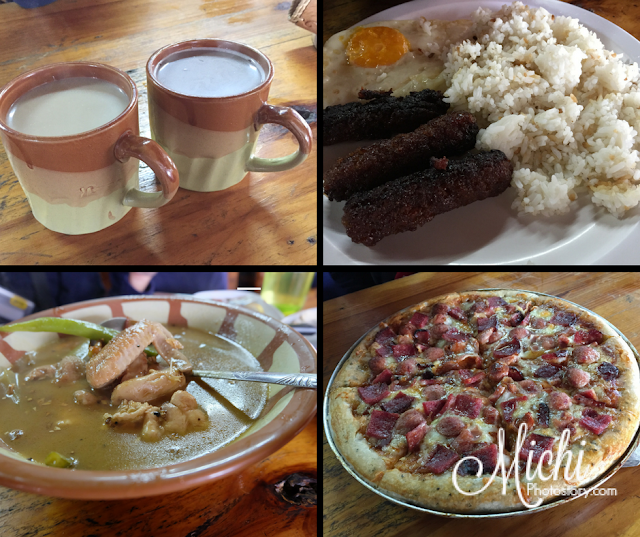 We ordered Longganisa meal P150, Kid’s Pizza P390, Sinampalukang Manok P180, Rice P25, Coffee P25 and Hot Choco P30. It took them 15 minutes to serve the drinks and almost an hour to serve the meal. So if you want to eat here, make sure that you are not that hungry because it takes time to prepare the food. 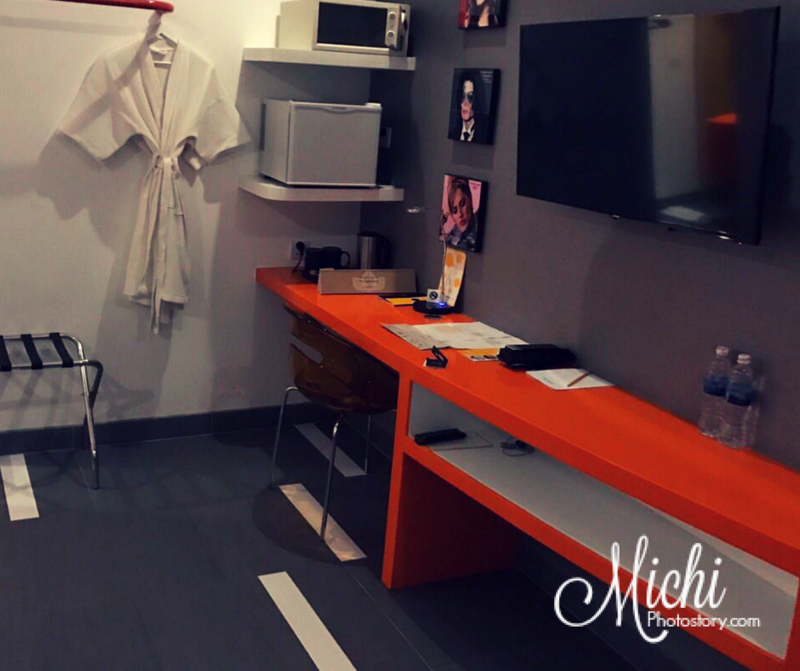 You have to consider that they only have a small kitchen and few staffs so manage your expectation. We were surprised when we saw the pizza, I thought kid’s size lang so we were not able to finish our order. If we only knew that they have a big serving, we just ordered Sinampalukang Manok and Rice. We take-out our leftover and nakain pa namin ng dinner. Hehehe! We liked the food here, actually my son wanted to eat here every meal because of the pizza. 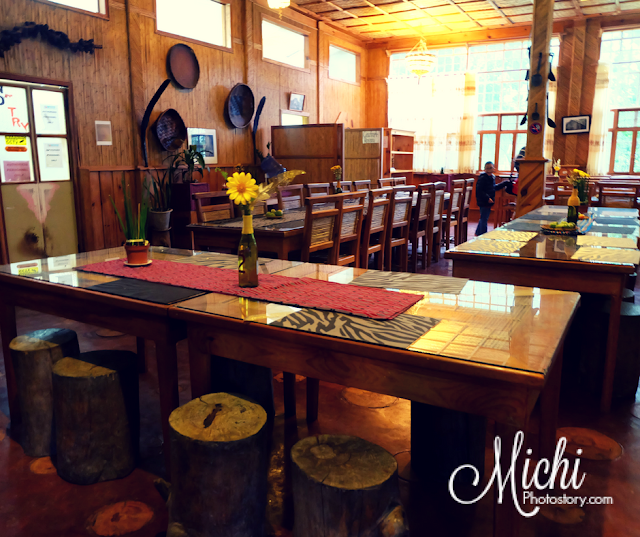 Most of the time, we just ate breakfast in the lodge. We brought cup noodles, bread and coffee so we can save money. But for a change, we went to Rock Inn and Cafe to eat our breakfast. The cafe is so far from the town proper and if we don’t have a ride, I will not go here. Rock Inn and Cafe is a farm, lodge and restaurant, so if you will stay here you can enjoy bonfire and orange picking activity. But during our visit, no more orange picking activity, ubos na ang orange. 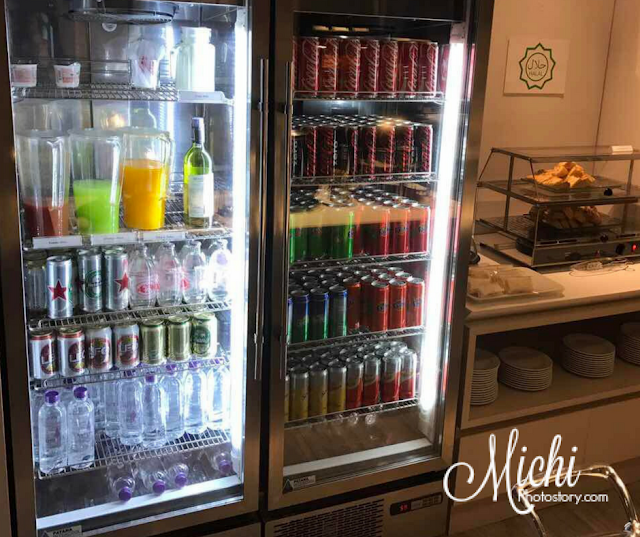 Here is the Cafe Bodega Restaurant. Upon seated, the staff gave us the menu. 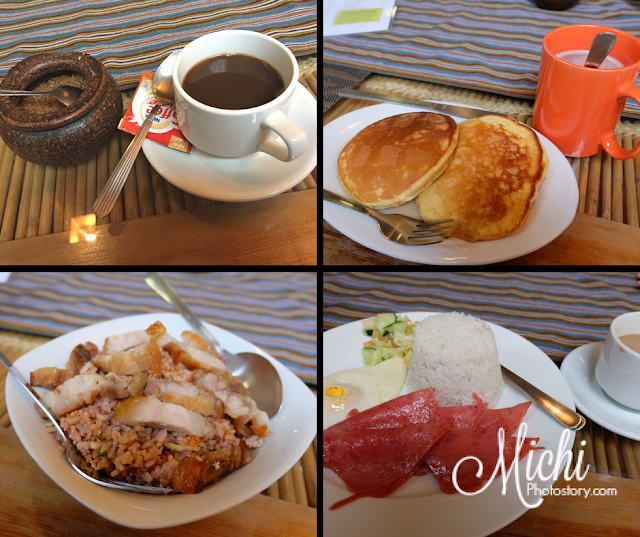 We ordered Homemade Ham P220, Farm Rice with Pork P205, Pancakes with Maple Syrup P115, Brewed Arabica Coffee P40 and Hot Chocolate P30. I’ve read before that it takes time to serve the food so we were surprised when they served our order after several minutes. The taste is just ok for us. 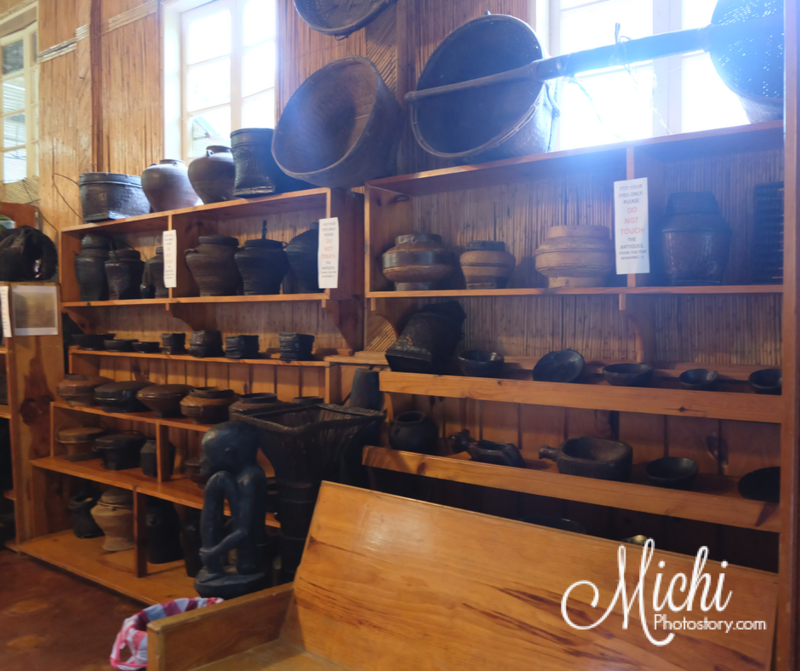 When we went to Sagada Pottery, we saw Log Cabin and Sagada Cellar Door sign, but they are only open during dinner and by reservation only. Sayang! 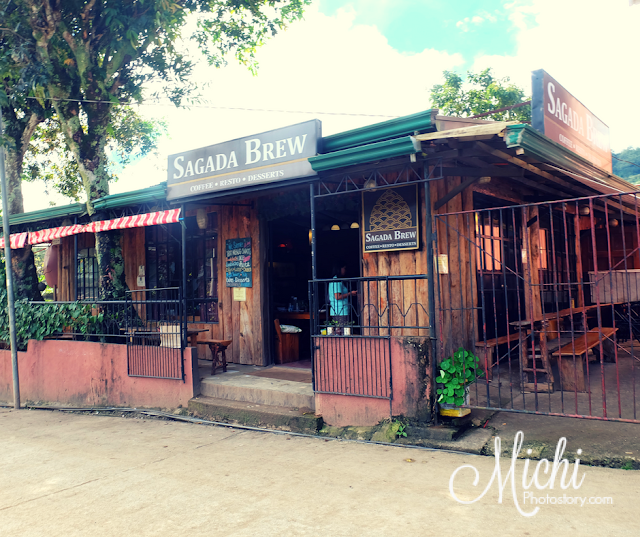 So we went back to Masferre Country Inn and Restaurant for our lunch but it was closed, we walked all the way to Sagada Lemon Pie House and same fate, closed din so we ended up in Sagada Brew. 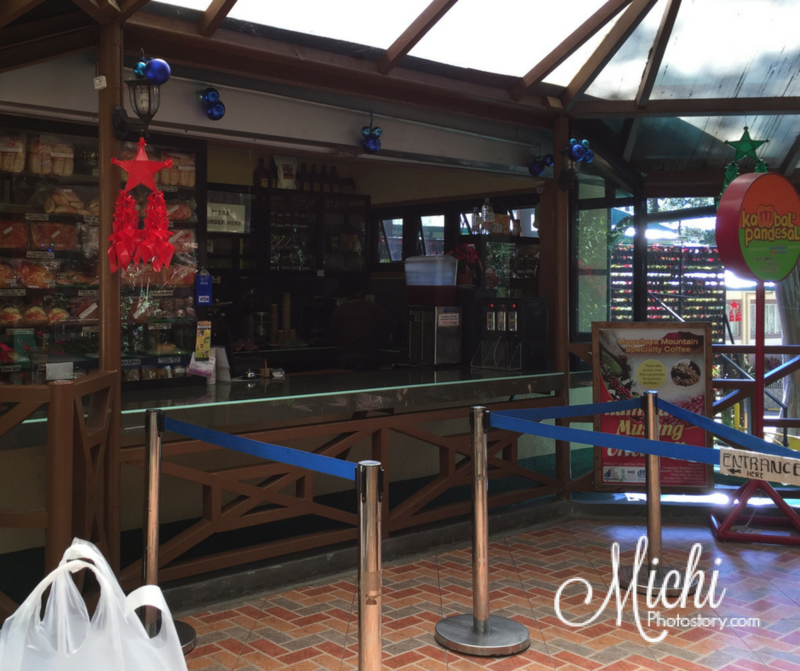 We ordered Roast Beef P200, Pork Sinigang P200 and Extra Rice P25. Again, there is no white rice. 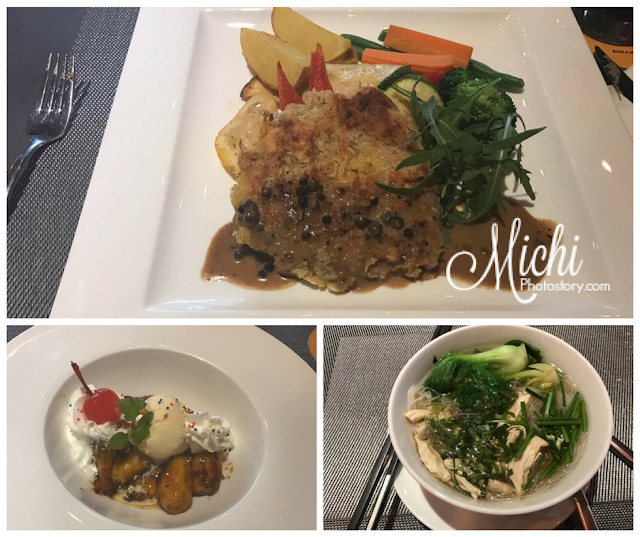 The taste of the food is just ok for us. 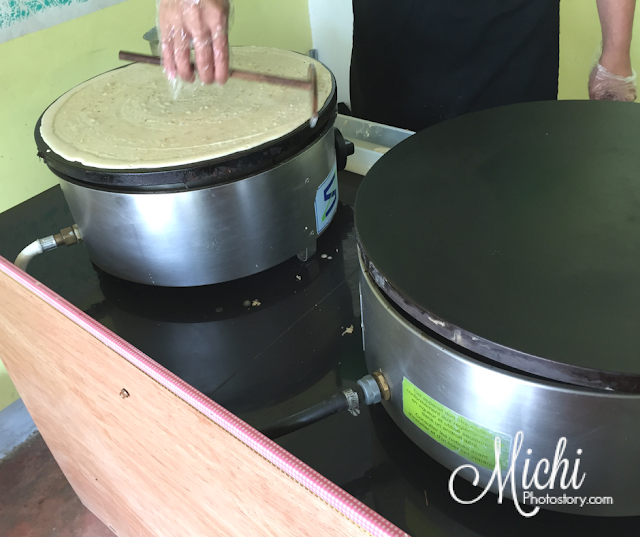 The owner of this store is French so you will really enjoy their crepe. We tried the Milk Chocolate Crepe for P100 and the serving is big so my son was not able to finish it. I'm happy to eat his leftover, yummy crepe! 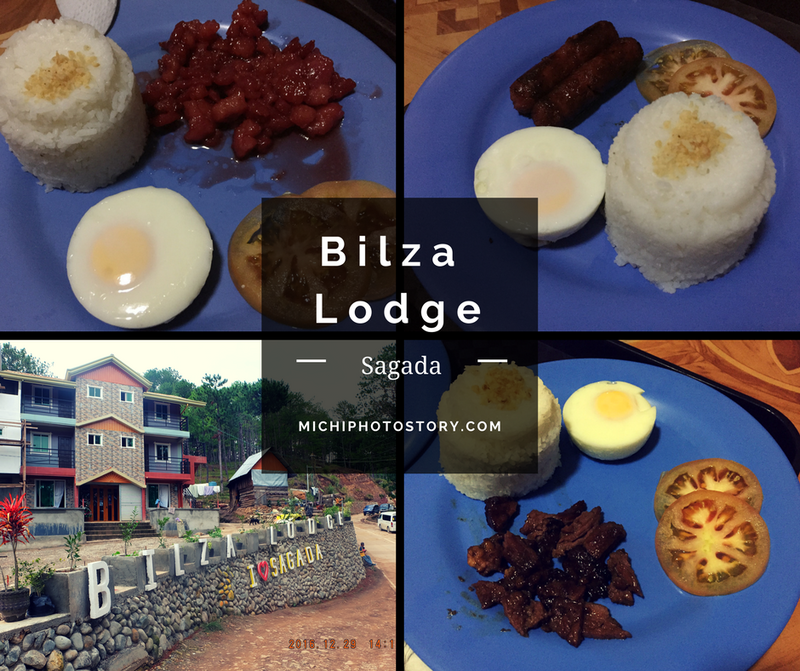 We stayed in Sagada Bilza Lodge and they also have a restaurant so even it is far from the town proper, you will have no problem with food. We tried their breakfast meals for our New Year’s Eve dinner. Hehehe! They have New Year’s Eve buffet dinner but since we will sleep early, we just ate dinner. 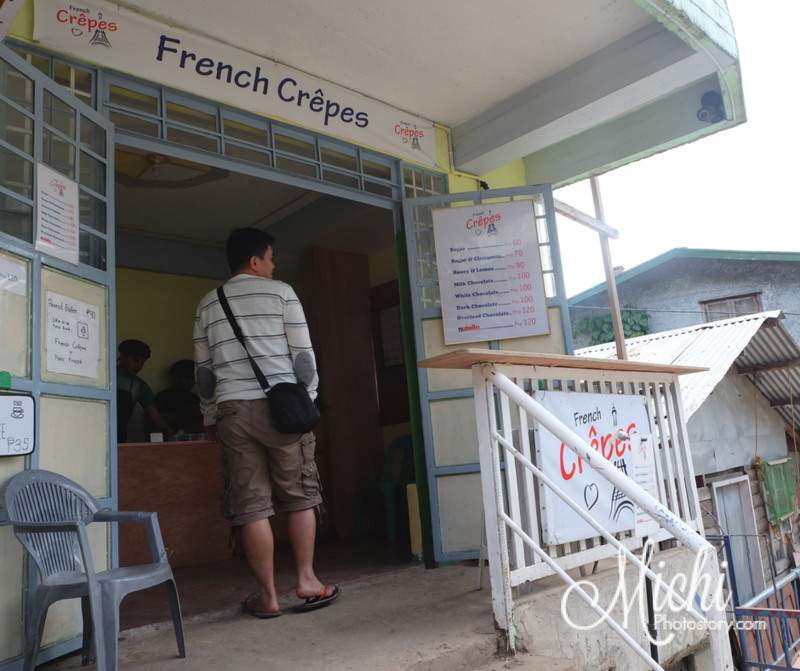 We ordered TocinoSilog P100, LongganisaSilog P100 and Beef Tapa Silog P115. 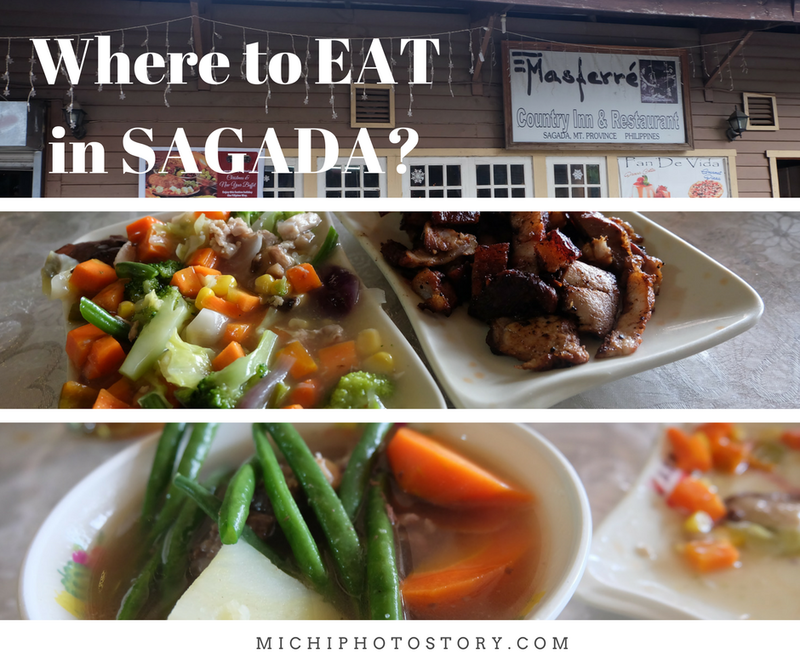 Taste is good and I think this is the cheapest meal that we had in Sagada. 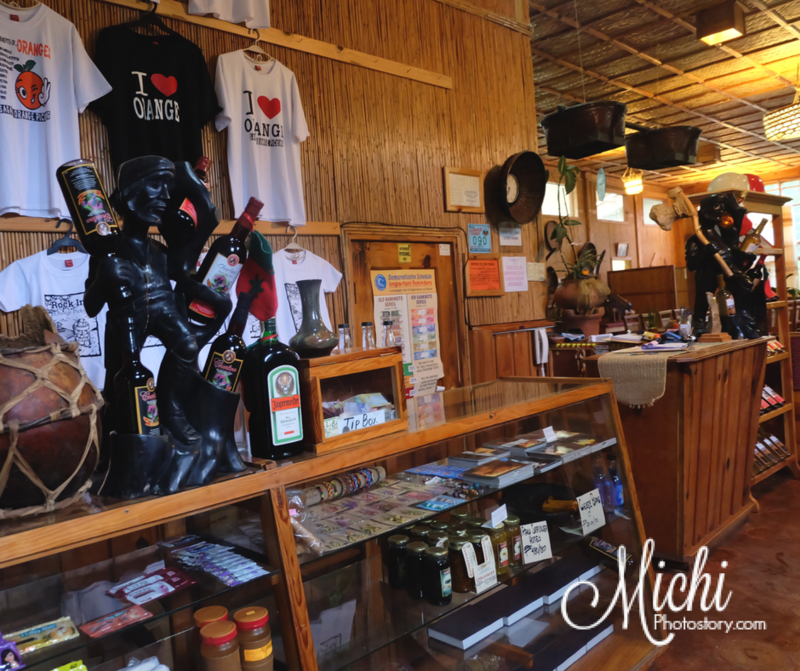 If ever you will explore Sumaguing Cave, you can eat here after the caving. It is just a few minutes walk from the cave. The two restaurants that are on my list but haven’t tried are Yogurt House and Gaia Cafe and Crafts. 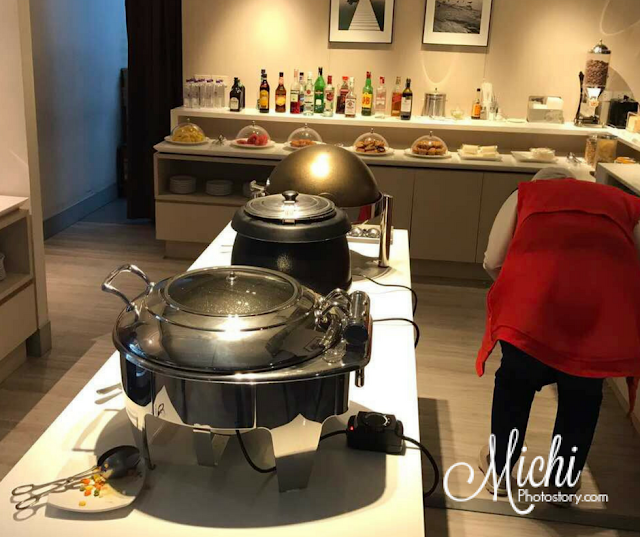 Remember that there are restaurants that are closed during December 31, in preparation for New Year’s Eve and there are restaurants that are open during dinner and by reservation only.